Silambarasan’s upcoming film ‘Idhu Namma Aalu’ has faced repeated postponements in the recent past. It was certain this time that the film will hit the theatre screens on March 25. But it has been again pushed back by the makers. 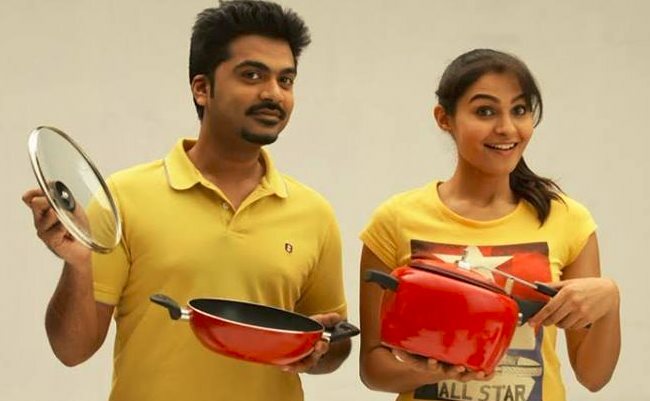 According to reports, the Pandiraj directorial will now be released in the first week of April. The team recently finished shooting for the last song of the film featuring Adah Sharma. She will also be seen in some of the scenes in the flick. Movie buffs have high expectations from the romantic-comedy film after watching its trailer last month. Nayantara and Andrea Jeremiah play the female lead in the film which has music by Simbu’s younger brother T. R. Kuralarasan. T. Rajendar and Usha Rajendar have bankrolled the film under Chimbu Cine Arts and Pasanga Productions banner. The audio of the film was released earlier by the makers and it got a positive response from the audiences.